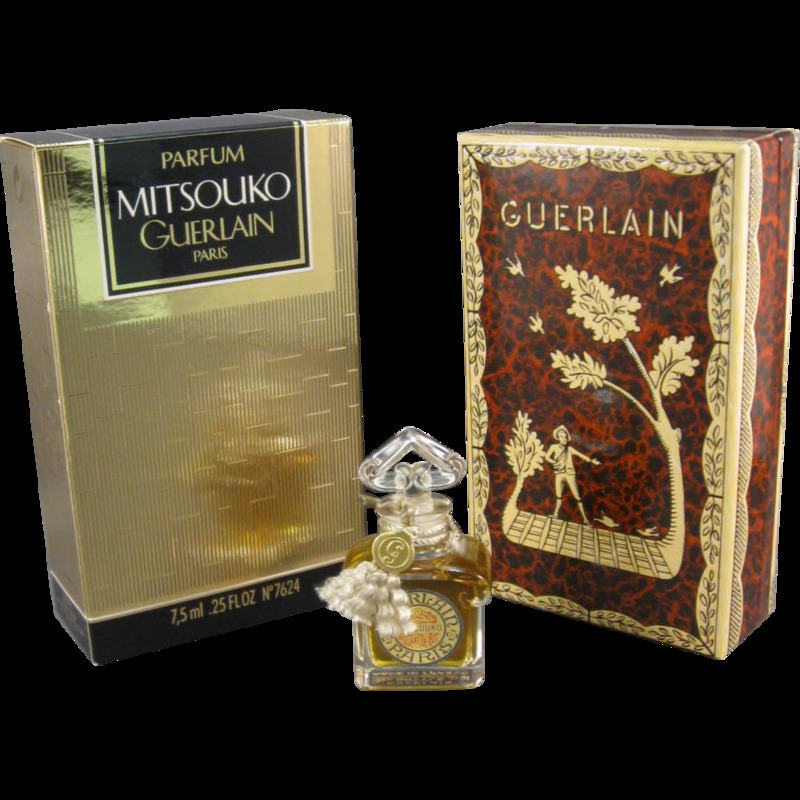 I have been reassured by several reliable-enough sources on the internet that 1989 Mitsouko counts as vintage, THEREFORE. AND I have also received my Surrender to Chance sample of Mitsouko which I’m 99.5% certain is not a vintage in any way, though I don’t know what batch it is, so it’s time to compare them and, perhaps, contrast them! I visited Twisted Lily tonight for their Sniffapalooza kick-off gathering and drenched myself in niche juice, so here’s to hoping that the shower I just took helps mitigate any interference. Also touching the wrist pad of my laptop makes my wrists come away with a rather unappetizing rubber scent, so I’ve been trying not to do that. These are completely different! Not at first smell, but the new stuff turns into this warm nuttiness after 10 minutes that I’ve seriously never smelled in a fragrance with the rest of the notes orbiting it. I wrote almonds above, but the whole thing affects like a Brazil nut. The fruit, which I found difficult to place in the first place, completely disappears, or at least gets folded into the florals. After a while, the cool lavender disappears as well, leaving a big roasty nut surrounded by a bit of ylang-ylang, a bit of violet, and a bed of amber and vetiver. It’s so odd. On the other hand, the bottle Mr. Chokkattu gave me retains most of its starting characteristics. I can smell where it might go nutty, but the flowers, and especially the peach hold its ground, the amber adding a touch of powder instead of a pillow of it, and the vetiver and oakmoss sitting about where it should visually. It’s definitely sweeter, more feminine than the above nuttiness. As Mr. Chokkattu put it, “it smells like make-up” and it definitely reminds me of the lipstick my older cousins got into when they were teens and I was in elementary school. No offense to the batch Surrender to Chance sent me but I’m glad I have 7.5 mL of this, and not the new juice.